Seventh-grade students from Greens Farms Academy in Westport recently spent three days at the University of Rhode Island's Environmental Educational Center at the W. Alton Jones in West Greenwich, R.I., to learn about ecology and history and work on team-building skills. 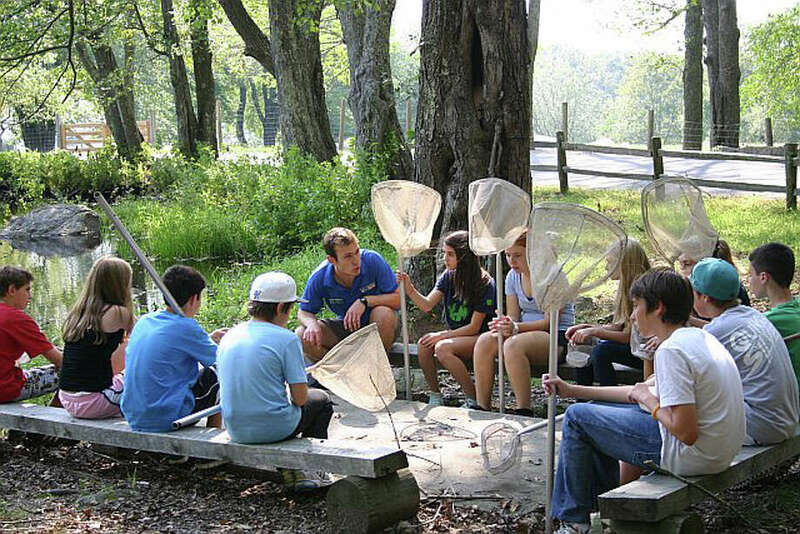 The pupils, from Weston, Westport, Southport and New Canaan, searched for tadpoles, examined wetlands and performed other ecology-related activities during their stay. The center, situated on 2,300 acres of forest land, comprises a 75-acre lake, extensive hiking trails and several streams and ponds. The site, which holds educational camps and outings for children, also contains a historial farm and a replica Native American shelter and living area.